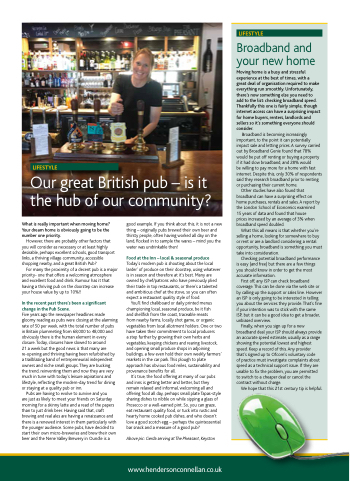 Our great British pub – is it the hub of our community? What is really important when moving home? Your dream home is obviously going to be the number one priority. However, there are probably other factors that you will consider as necessary or at least highly desirable, perhaps excellent schools, good transport links, a thriving village community, accessible shopping nearby, and a great British Pub? For many the proximity of a decent pub is a major priority- one that offers a welcoming atmosphere and excellent food and drink. Rumour has it that having a thriving pub on the doorstep can increase your house value by up to 10%!! In the recent past there’s been a significant change in the Pub Scene. 21 a week but the good news is that many are re-opening and thriving having been refurbished by a trailblazing band of entrepreneurial independent owners and niche small groups. They are bucking the trend, reinventing them and now they are very much in tune with today’s leisure aspirations and lifestyle, reflecting the modern-day trend for dining or staying at a quality pub or inn. good example. If you think about this, it is not a new thing – originally pubs brewed their own beer and thirsty people, often having worked all day on the land, flocked in to sample the wares – mind you the water was undrinkable then! Today’s modern pub is shouting about the local larder’ of produce on their doorstep, using whatever is in season and therefore at it’s best. Many are owned by chef/patrons who have previously plied their trade in top restaurants, or there’s a talented and ambitious chef at the stove, so you can often expect a restaurant quality style of food. a step further by growing their own herbs and vegetables, keeping chickens and rearing livestock, and opening small produce shops in adjoining buildings, a few even hold their own weekly farmers’ markets in the car park. This plough to plate approach has obvious food miles, sustainability and provenance benefits for all. It’s true, the food offering at many of our pubs and inns is getting better and better, but they remain relaxed and informal, welcoming all and offering food all day, perhaps small plate Tapas-style sharing dishes to nibble on while sipping a glass of Prosecco or a well-earned pint. So, you can graze, eat restaurant quality food, or tuck into rustic and hearty home cooked pub dishes, and who doesn’t love a good scotch egg – perhaps the quintessential bar snack and a measure of a good pub? be willing to pay more for a home with fast internet. Despite this, only 30% of respondents said they research broadband prior to renting or purchasing their current home. prices increased by an average of 3% when broadband speed doubled. First off, any ISP can check broadband coverage. This can be done via the web site or by calling up the support or sales line. However an ISP is only going to be interested in telling you about the services they provide. That’s fine if your intention was to stick with the same ISP, but it can be a good idea to get a broader, unbiased overview. of practice must investigate complaints about speed as a technical support issue. If they are unable to fix the problem, you are permitted to switch to a cheaper deal or cancel the contract without charge. We hope that this 21st century tip is helpful.